Louis II of Chalon-Arlay (c. 1388– 3 December 1463), nicknamed the Good, was Lord of Arlay and Arguel Prince of Orange. He was the son of John III of Chalon-Arlay and his wife, Mary of Baux-Orange, and the father of William VII of Chalon-Arlay. Arlay is a commune in the Jura department in the region of Bourgogne-Franche-Comté in eastern France. On 1 January 2016, the former commune of Saint-Germain-lès-Arlay was merged into Arlay. Louis was very ambitious. He tried to establish his authority in the Dauphiné, but failed. He did manage to extend his territory eastwards, to Neuchâtel and Lausanne. During his attempts to extend his territory, he would sometimes express loyalty towards the King of France, and at other times toward the German Emperor or the Duke of Burgundy. In the end, nobody really trusted him. Neuchâtel, or Neuchatel; is a town, a municipality, and the capital of the Swiss canton of Neuchâtel on Lake Neuchâtel. 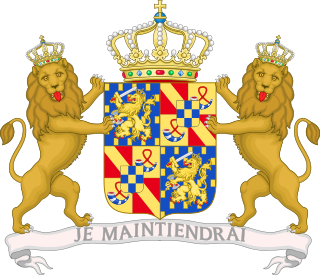 Louis was also active in the Netherlands: in 1425, he led an army sent by Philip the Good to support Duke John IV of Brabant in a war against his wife Jacqueline. 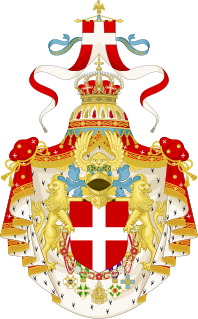 Louis also called himself Count of Geneva, claiming it was part of the inheritance he had received from his mother. However, he was never able to realize this claim. 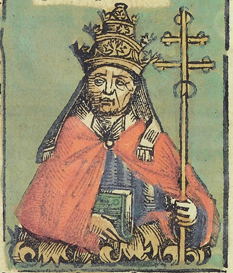 The county of Geneva was held by Antipope Felix V. After Felix's death, Louis fought a long battle against the Counts of Savoy for control of Geneva. The struggle ended when the Emperor decided in favour of the House of Savoy. In his last will and testament, Louis stipulated that his children from his second marriage would take precedence over his children from his first marriage when in the division of the inheritance. After his death, this caused a prolonged struggle between his children and their descendants. Hugh de Chalon (-1490), Lord of Château-Guyon, who married Louise of Savoy, a daughter of Duke Amadeus IX of Savoy and Yolande of Valois. Louis II died at his castle at Nozeroy on 3 December 1463. He was succeeded as Prince of Orange by his son William VII. Charles de Bourbon was the oldest son of John I, Duke of Bourbon and Marie, Duchess of Auvergne. John, called the Old (l'Antique), was a French nobleman, the Count of Auxonne and Chalon-sur-Saône in his own right and regent in right of his son, Hugh III, Count of Burgundy. In contemporary documents, he was sometimes called "Count of Burgundy", as by King William of Germany in 1251. John II, lord of Chalon-Arlay was a member of the House of Chalon-Arlay. He succeeded his father Hugh I lord of Arlay to this title, and was himself succeeded by his son, Hugh II lord of Arlay. Hugh II of Chalon-Arlay (1334–1388) was the son and successor as lord of Arlay to John II. His mother was Marguerite of Mello. 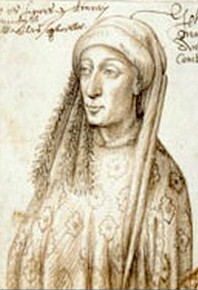 Sybille de Baugé, Lady of Bâgé (1255–1294), was the daughter of Guy I Damas de Baugé, Baron of Couzan (c.1230-1269) and Dauphine de Lavieu. She was a Countess Consort of Savoy, being married to Amadeus V, Count of Savoy in 1272. Simon IV, Count of Saarbrücken, Simon of Saarbrücken-Commercy. He was the Count of Saarbrücken (de) and Seigneur (lord) of Commercy (fr).